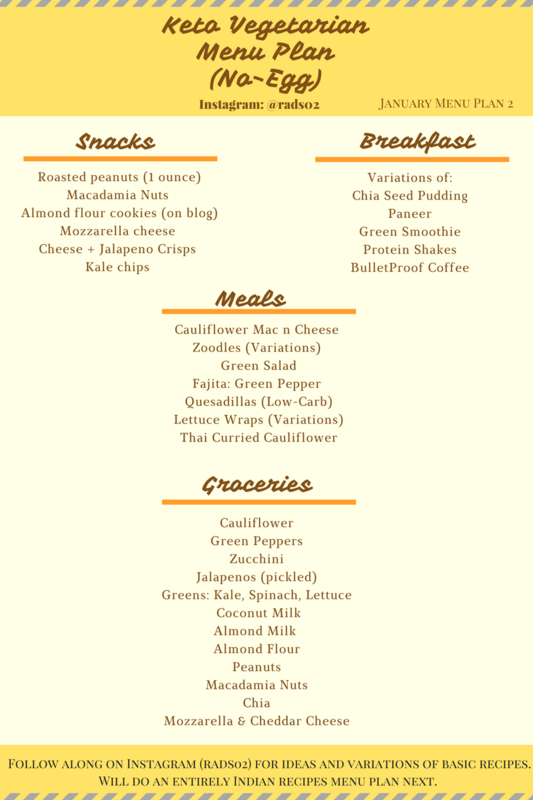 This is the second menu plan for a Keto way of eating – and especially catering to Lacto-Vegetarians. 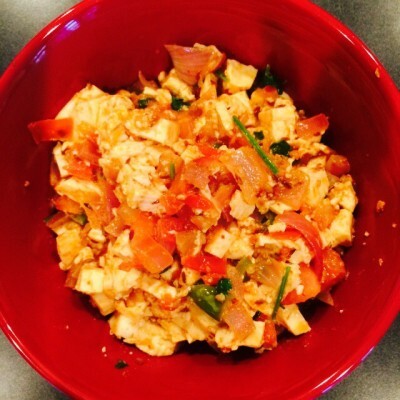 Plenty folks have asked for a no-egg menu plan and so here is something I put together. There will be more, so keep an eye out on this series. January: The first menu plan with egg is here. A few things to bear in mind as you read the plan below. 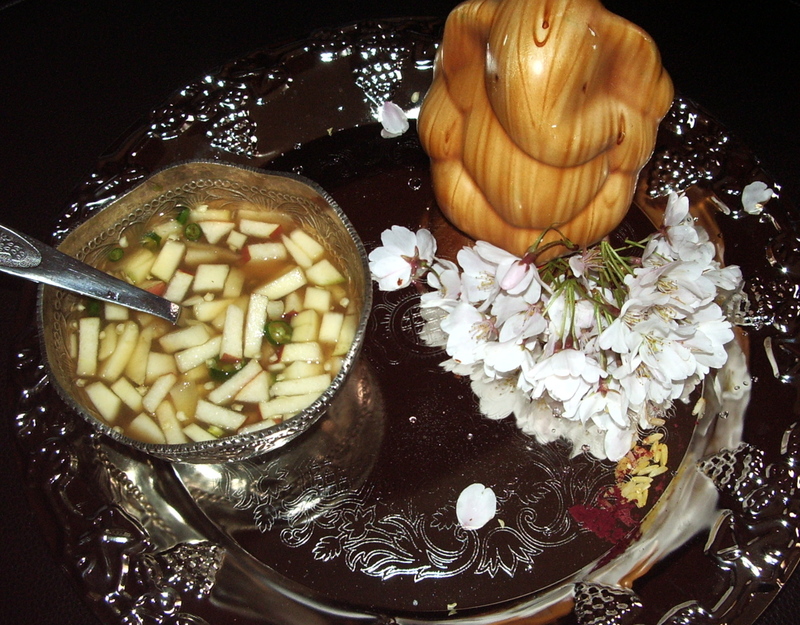 I am in the process of adding in recipes to this space, and I shall link on the Instagram bio as possible, but they are all simple and with as few ingredients as possible. (As mentioned in the previous post). It will be hard for me to add in Macros and Calories consistently on every food/recipe that I post here. But I show in my Stories on Instagram on how I measure and do, so please do the needful to manage your own intake by using a calorie calculator like MyFitnessPal and a kitchen scale and a measuring jar. They are very important if you are still new to this way of eating. This menu plan is broadly catered to a western palate. Spices can be added as per your taste. …and finally! Eat ONLY when you are hungry. Eat only Fat/Protein. Drink 3 liters of water. Coz water will help remove water. Yea, I know, but it’s the truth! CARBS as low as possible. Eggs provide Protein. Even while eating eggs, I fall short of my protein macro by about 10 grams or so. It’s important to match at least 80-90% of your protein macro most of the time. Precisely why it’s important to monitor your intake and record it so you know how much you are consuming. Just be diligent about it till it becomes a habit. You can do it! 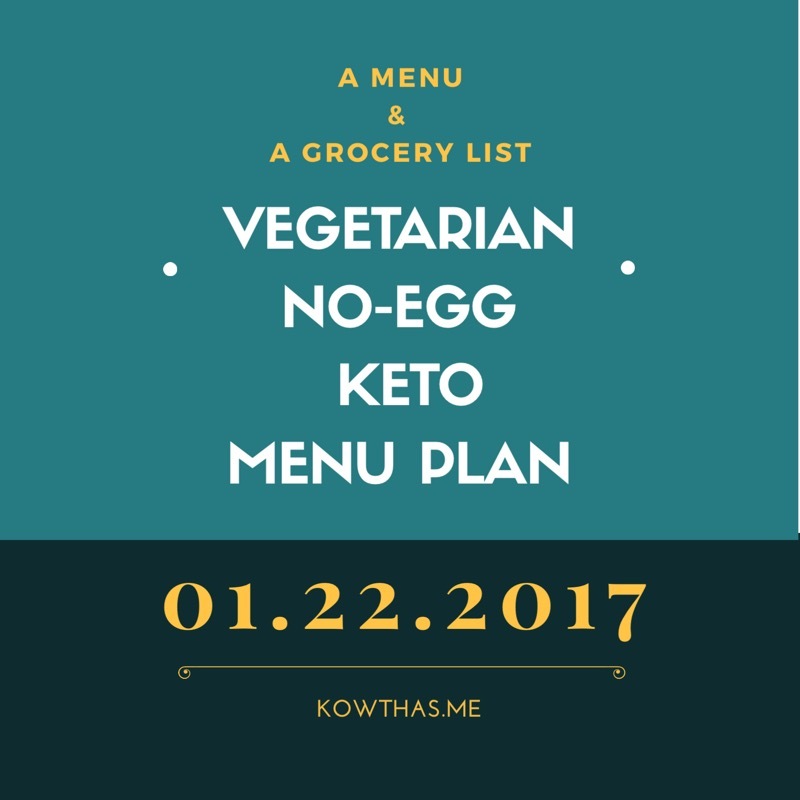 January: No Egg Menu Plan For Keto as a downloadable PDF.